we bought a house! isn't it cute? such a whirlwind + much faster than expected, but we are currently in the process of completing all the to-do's before closing on november 30. it's a quirky little house, with an unconventional layout and plenty of outdoor space, but it is perfect for us. 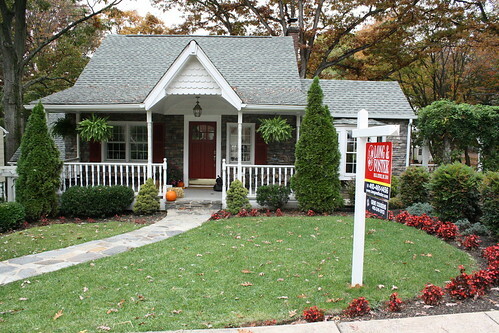 the hardwood floors and fireplace and country kitchen and covered front porch are all perfect. my head is exploding with ideas. i am so excited to finally share this with you... and you can be sure that there is plenty more to come.